Our purpose: Foster a strong network to empower women, inspire tech culture and reimagine workplaces. Our main objective is to empower women in technology and create a safe environment to develop individual careers. We are teaching women irrespective of age how to code and build technical skills. We create a safe environment for women to speak up and solve problems. We are encouraging young women to get into science, technology, engineering and mathematics (STEM). 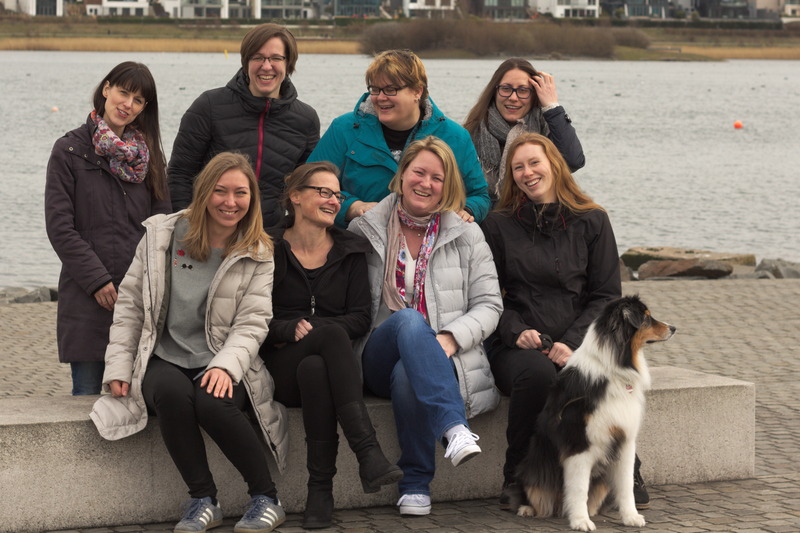 We are raising awareness on gender parity and diversity in technology companies in the Ruhr area. We are organizing WIT-Ruhr events open for women and everyone who is interested in socialising and knowledge exchange. We are supporting children to have a possibility to get in touch with technology from an early age. We are a group of women in technology working in different roles for various companies. February tba, Book Club Evening: "Design your Life"
June 29th, 2017 Lean Coffee @Tapas Bar, Lindemannstr. If you want to get in touch with us, just send us a message or follow us in your social network. Wenn Sie mit uns in Kontakt treten möchten, senden Sie uns einfach eine Nachricht oder folgen Sie uns in Ihrem sozialen Netzwerk. Stay tuned for our infos about our awesome hosts! Thanks to all of you, without you we would not be able to do what we do.